After a couple of years our original stock of MVHR filters was used up. 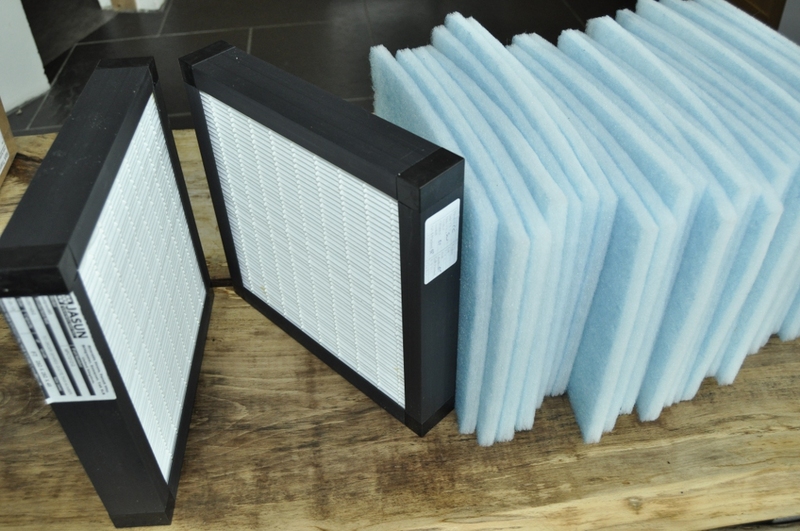 We then faced a dilema: The MVHR manufacturer was asking about 7 Euro for each G4 foam filter pad, and the online prices for a single Lindab F7 intake filter were between £40 and £60. Although the F7’s last 6 months here it seemed a lot of money for a cheap plastic frame and a bit of synthetic pleating. Also, because we do a lot of cooking the MVHR G4 filter gets clogged pretty quickly on the extract side (main method of extracting from the kitchen). 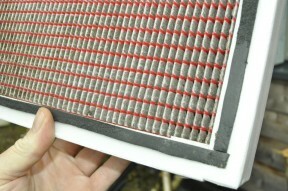 We want to change the filter as required without worrying about cost. 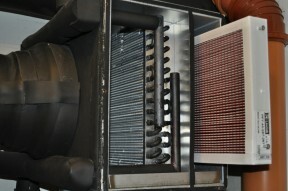 Original Lindab F7 filter in our intake pre-heat. a simple wash. I decided to call some of the UK manufacturers that supply filters for commercial systems and installers. No, we are not sponsored in any way! They deserve a mention for their no-nonsense help, which may assist others. 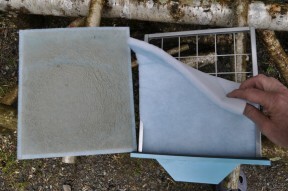 Extract pad on left was definitely past its use-by date! point of double-checking my spec. (minimum net order value £30). 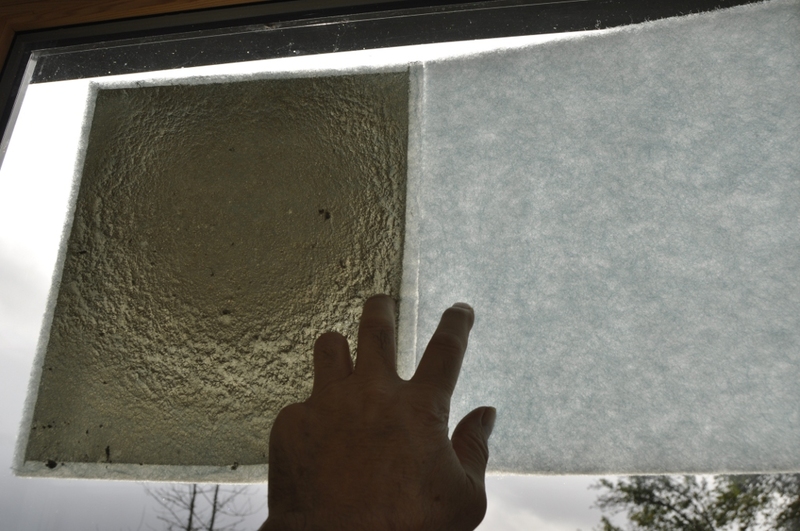 Rolls of filter media are cheap per m² but way too big. Jasun cut our pads precisely to the mm for a total unit price of just 65p (4-7 Euro in Germany!). 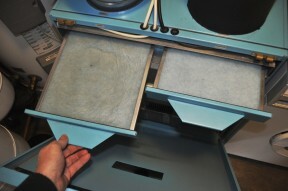 range of filter types and media. Thanks for this very useful blog. Very kind to share it. I have a pleated filter, so plan to make a re-useable frame that traps the filter fleece into its zigzag pattern, firmly to avoid dust bypass etc. 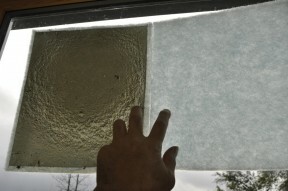 I plan to cut off a roll of the cheaper (than pre-made filters) filter media to size each time. I want to maintain the surface area so I don’t increase the power consumed by the fans as a result of reducing it (eg by changing each filter to a flat ‘screen’. 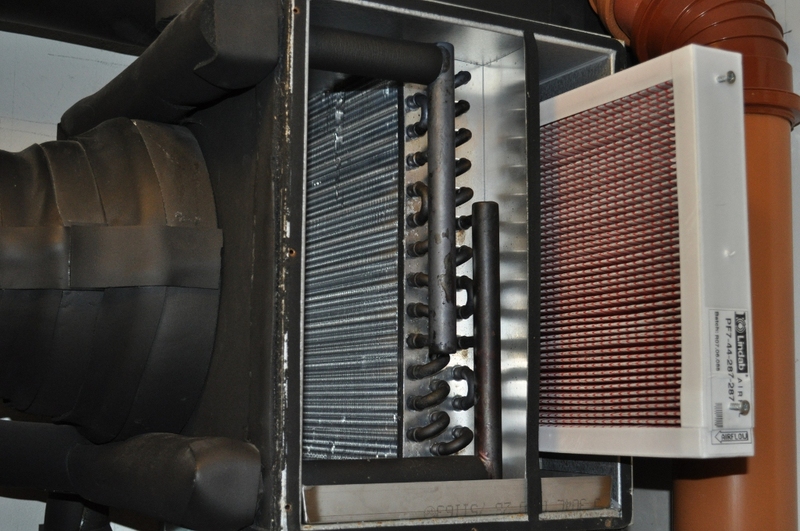 Its also about time I took out the heat exchanger and showered it clean inside! – ideally of course I want a stainless steel mesh filter (x2) that I can wash. near zero waste, and should last a lifetime. Can you get s.s. media at a fine enough grade? I have one in the kitchen wall extract. 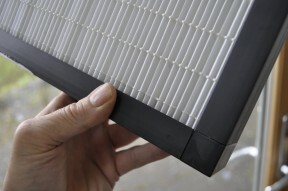 I am considering purchasing a MVHR system with the Vent Axia Sentinel Kinetic. They only offer an i3 or i5 filter and I want an i7/F7 filter. Found this blog very interesting/helpful.